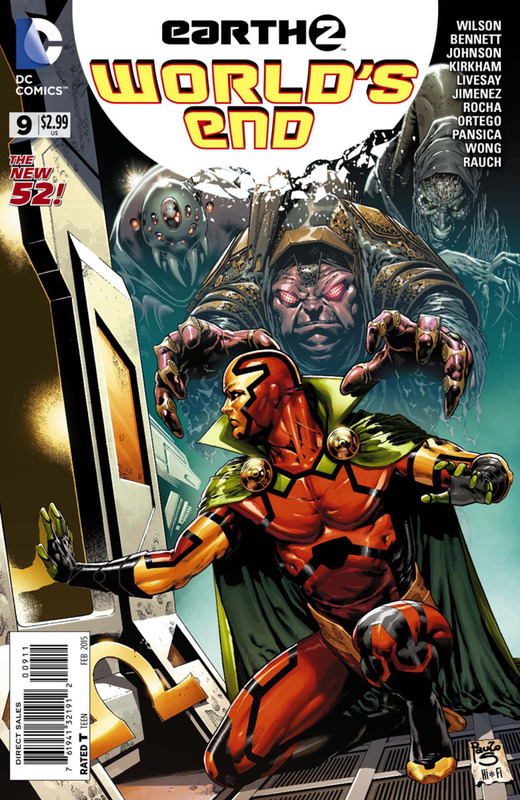 When DC Comics announced that it was launching the new 52, it did so under the auspices of trying something new, and made it known that it was time for a new wave of creativity, hoping to fabricate their own version of a new age of comics. While this relaunch has been successful to varying degrees, the question about whether anything new came of the relaunch is a bigger question. In most cases the only new change was a different roster for a team or a new costume for a character. If fans truly wanted something different, one series rapidly became known for its unconventional approach to its story and that was Earth-2. Here DC’s Trinity has died, and a succession of heroes have taken their spots, with such unconventional casting as with Lois Lane being the new Red Tornado, this is clearly the place to come to at DC for something different. Despite this approach to the characters, readers have barely had a chance to catch their breath in the ongoing stories, most of which have to do with an attack on Earth, first by Steppenwolf and then by Apokolips itself. With so many story lines running concurrently it became a necessity to spill the stories over into an ongoing weekly series labeled World’s End, which at times takes on a feel of the series 52, weaving parallel but separate stories together, until we get to a point of congruence for the characters to deal with a crisis, only to separate again. This is where the combined series have stood since the launch of the World’s End weekly, and for the first time, these two issues coming out in a single week act as an ongoing story, each tying directly into the other in a non-stop narrative. 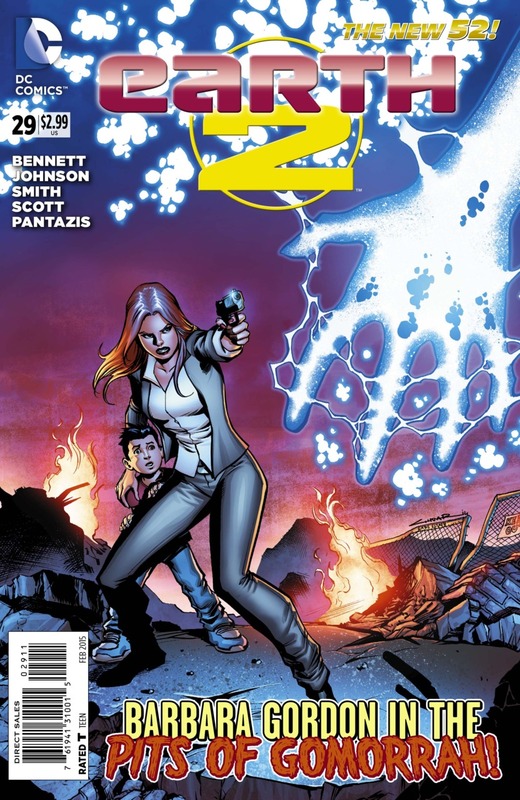 The cover and most of the story for the monthly Earth-2 title features Barbara Grayson and focuses on some of the commonalities of a post-apocalyptic world, notably the cults that begin to worship death and the coming apocalypse. This story in itself was engaging, but it too carried over into the weekly series for its resolution, making reading both a necessity. While the monthly focused on the Graysons, the weekly gives each of the ongoing story lines some attention, though still focused on Apokolips’s Four Horsemen of the Apocalypse. On the whole, this is a series that has not really ever stopped for a break, at least not after a relatively slow build in to the ongoing war that consumes the majority of the focus of the series. The creative team has done well across the run so far to keep the momentum going, and it doesn’t seem like there will be soon an issue where the characters are sitting on the beach relaxing. Equally though, the entire series will appear to be convoluted and overly complicated to someone interested in any particular issue. These two issues stand alongside the others, not as the best of the series, and to be honest, probably not even as good as a lot of the issues, but it keeps the story moving and pushes the characters closer to their next crisis point.